New smart phones will make Sony's handheld seem old by comparison, and sooner than later. Like many gamers, we can't wait to buy PlayStation Vitas next year. Sony has the makings of a stellar launch lineup, and the concept of having a portable system a step below PlayStation 3 is quite an exciting prospect. You know, despite the notion that Vita's nearly outdated. Assuming Sony's powerhouse will be around for a minimum of five years, it'll be a dinosaur in at least two. The reason is simple. Barring some complete hardware revision, developers must make due with the handheld's technology from now until the unit's final gasp. That involves spending extended time learning Vita's innards and/or pulling off some neat tricks to maximize its potential. On the flip side, smart phones advance more rapidly than your standard video game system. When a company like Sony or Nintendo releases a handheld, it's usually in it for the long haul. Apple, by comparison, pumps out a new iPhone every year. With each iteration, the device becomes faster and more powerful. Graphics, download speeds and other features (like the camera) improve dramatically. Consider this quote from id Software's John Carmack, creator of DOOM. "It's unquestionable that within a very short time, we're going to have portable cell phones that are more powerful than the current-gen consoles. People have exaggerated the relative powers. The iPad2 is not more powerful than the 360. It's still a factor of a couple weaker. But the fact that it's gotten that close that fast, that means that almost certainly, two years from now, there will be mobile devices more powerful than what we're doing all these fabulous games on right now." That said, it's only a matter of time before an iPhone or Android powered device eclipses PlayStation Vita in raw graphical horsepower. In fact, the current iPhone 4 and upcoming iPhone 4S aren't too far behind. Here we have a game nearly on par with anything we've seen on PlayStation Vita, complete with game saves through iCloud and a new mode (Clash Mob) involving thousands of players. The best part? 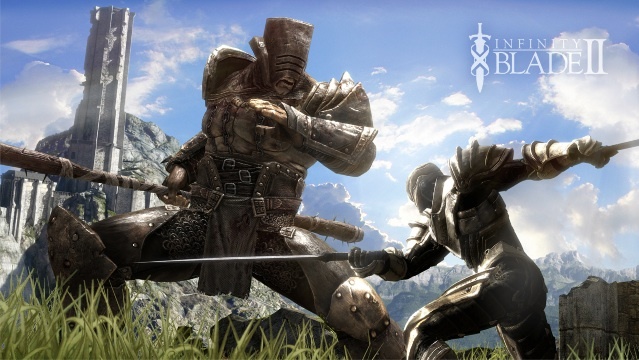 Infinity Blade 2 debuts December 1, 2011. 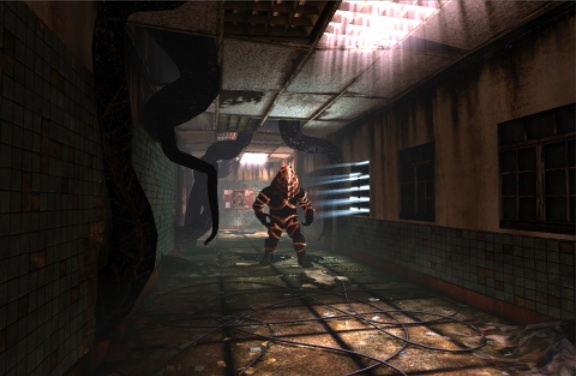 Today marks the release of this gorgeous looking first person adventure from Phosphor Games, a game that sends players through a monster filled hospital. Simply beautiful, and like Infinity Blade 2, The Dark Meadow is nearly on par with Vita's launch games visually. Whether or not it's fun remains to be seen. 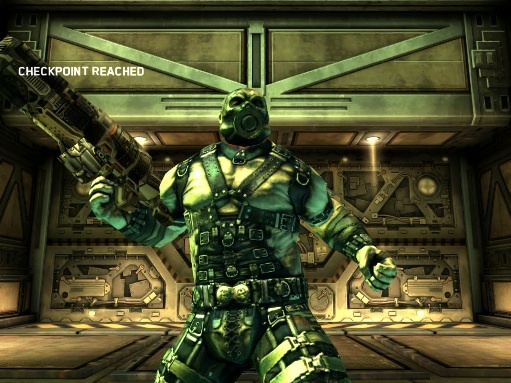 OK, so Shadowgun isn't the deepest third person shooter on the market, but that's not the point. 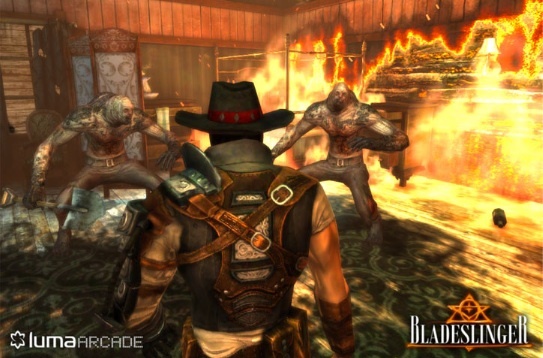 Madfinger Games produced a sweet looking Gears of War clone that runs with almost no hitches on a smart phone. Things will only get better from here. Oh, and you can download this game right now. Finally, there's Luma Arcade's Bladeslinger. Simply put, if you think this game's ugly, you should probably stop playing games altogether. Seriously, this looks like a first generation Vita game, but it runs on the outdated iPhone 4. Bottom line, the speed at which smart phones evolve makes it impossible for Sony to compete. That ultimately means PlayStation Vita games could look inferior in two years, three tops.